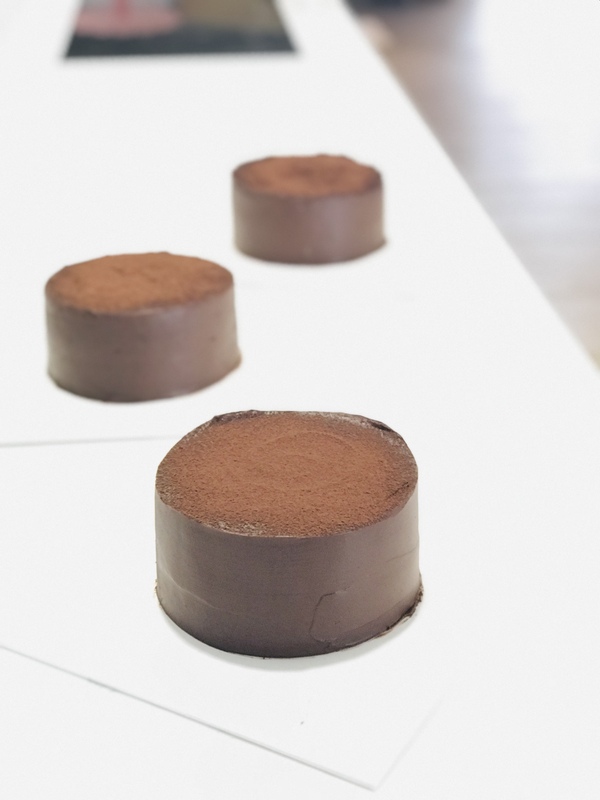 On the stroke of 12, the moon rises on the horizon, a wave of dark chocolate hits your senses, enwraps you in silk, and leaves you with faint bitter trails that linger on the tongue. 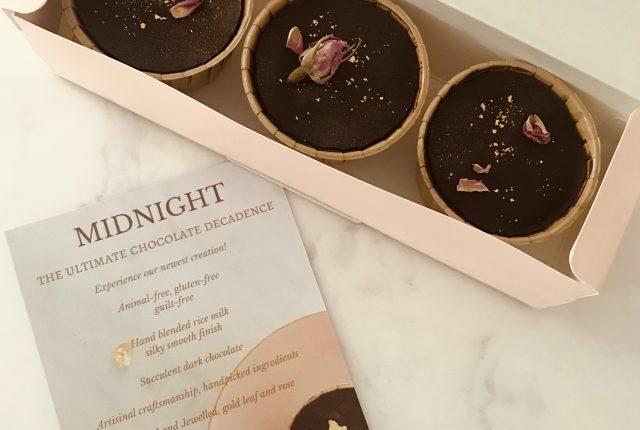 Topped with 24k gold leaf and rosebud, the Midnight Cake is a sensual escapade with indulgence that will leave you feeling satisfied, but never guilty. 100% vegan and gluten-free, our special recipe calls for a mix of avocadoes and psyllium husk to make a creation that’s light on calories but heavy in flavour. Update (Mar 2019): We are pleased to announce that we now use hand-made rice milk instead of soy milk in all our products. We’ve worked hard on incorporating this such that there is no change to the flavour, quality, and feel of our cakes at all. The only difference is that our soy-allergic friends may now enjoy our line of products. Bon appétit! This product contains: dark chocolate, avocadoes, flaxseed, rice milk, corn flour flour, tapioca flour, cocoa powder, baking soda, baking powder and cane sugar (molasses). Our kitchen processes other products that contain soy, nuts, wheat, dairy, caffeine and eggs. Please be advised that trace amounts of these ingredients may be found in this product. 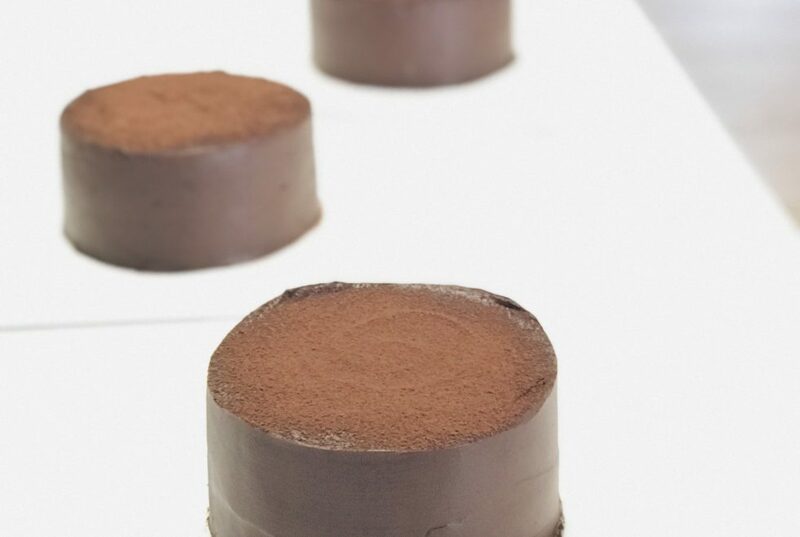 At Naked Cakes we believe in naked transparency. Although we use 100% dark chocolate in this recipe, the chocolate itself is not vegan-certified. The fact is, there is no animal product in dark chocolate at all, but if the lack of certification bothers you, please avoid ordering this product.